Modern Vintage: Once, vintage WAS modern. And now modern loves to play with vintage. Confused? Don’t be, as I show you some simple tips for blending modern and vintage styles beautifully in your home. 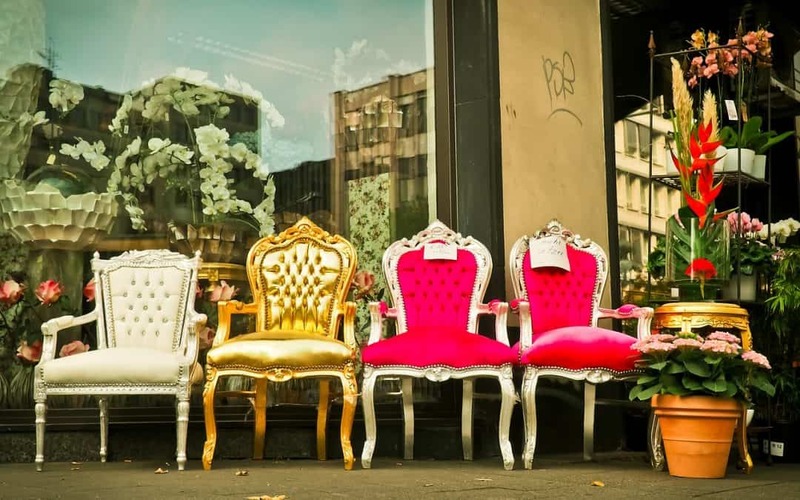 For people who have created a very modern style in their home, it can often be difficult to know how to work in a few beautiful antique or vintage pieces into your abode. However, modern vintage styles meld beautifully together. Fusing together some contrasting styles is actually a great way to give your home a unique sense of character. Of course, you still want your house to have some sense of symmetry and a general theme tying it all together. 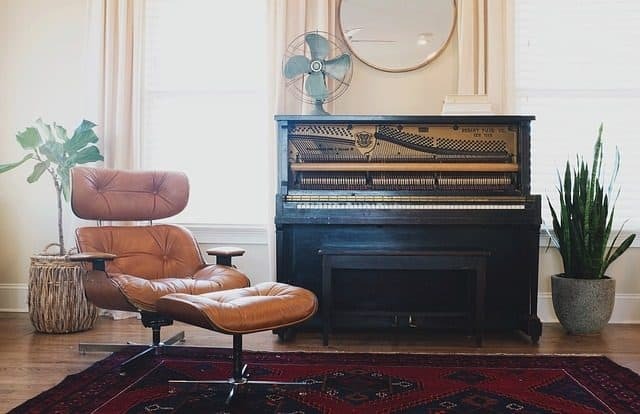 In this post, we are going to look at modern vintage and how you can naturally incorporate some vintage and antique pieces into your modern home. Let’s face it; you can buy paint in any colour or hue your heart desires. Consider if you want your modern vintage item to blend or be bold. 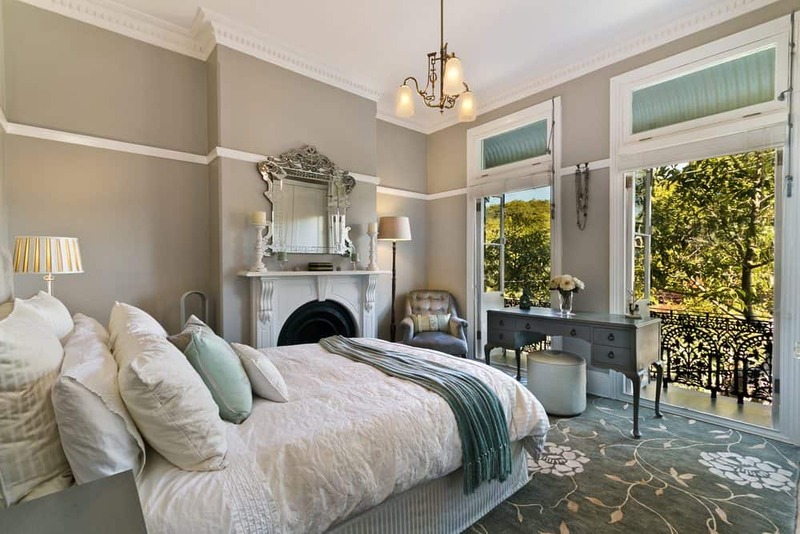 Painting walls a pale neutral colors, and especially a winter white, will allow a piece of wooden furniture to ‘pop’. However, if you are unsure of how the piece will work in the room, use colours that appear in the modern vintage furniture to create more of a blend with the wall. Try a small item of furniture to begin with to see how well it works in the space. When you get more comfortable with the style, you can start becoming bolder in your experimentation. It’s a personal style choice. Personally, I love mixing old and new pieces – a vintage hall table with a very modern art work – a vintage chair with a glass coffee table – vintage Marimekko fabric with a modern leather sofa – be brave, and mix it up a bit. Most rooms require a focal point or ‘Hero Piece’ from which other design elements of the room are taken. If you find a particularly nice item like an antique clock from dutchtimepieces.com, you could make this the centrepiece of the room. Don’t clutter the piece with other items and draw from the style, lines, colours, and textures of the ‘Hero Piece’ for other decor items. Aim to keep the surrounding colours and pieces fairly minimal so that the eye is naturally drawn to the focal point of the room. Even in very modern living spaces, vintage-style cabinets still have their place, particularly in kitchens and bedrooms. Not only do they look great, they also provide you with some useful storage space, which is often at a premium. Another option is to try out a vintage wardrobe in the dining room, which is a great place to keep your crockery and other dining items. It is always a nice touch to have a number of different seating options, and it is especially useful if you entertain alot. Try not to overdo it – just a couple of chairs placed between your modern furniture may well be all you need. 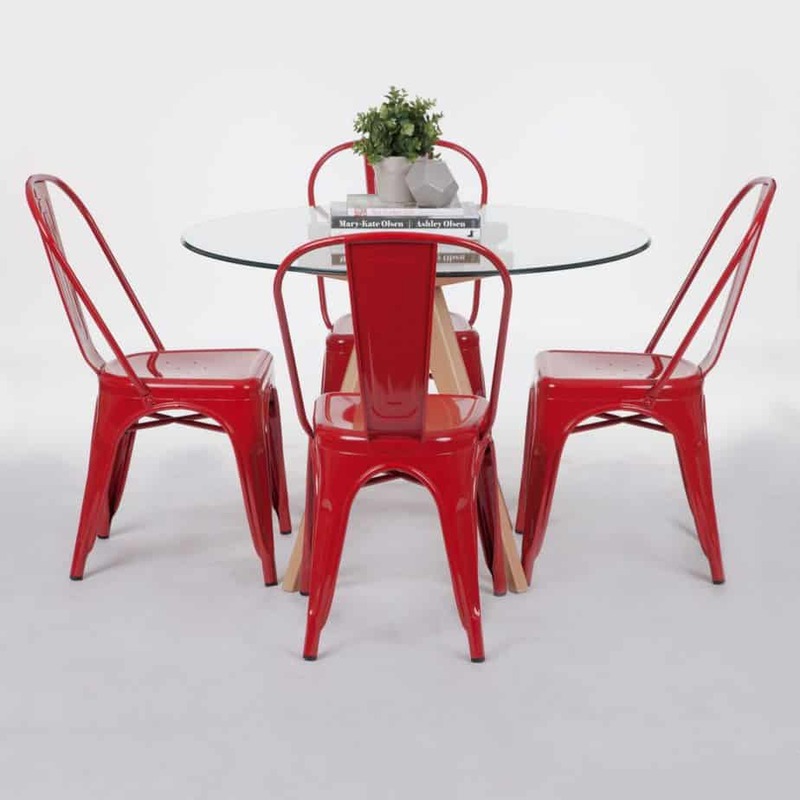 Otherwise, you could try a different approach by pairing a traditional table with some more modern chairs. Mixing modern and antique styles isn’t always easy to get right, but hopefully this advice has provided you with some decent guidelines of where to begin. Essentially, you don’t want to go overboard with this approach as it can end up looking like a confusion of styles. Start off small, and build in more items when you feel like it is starting to look right. It’s YOUR home, so let your modern vintage vibe reflect your own tastes.